Educate South Florida is an educational services company which strives to engage the South Florida community and beyond to get more involved in Education. Our objective is to provide the highest quality personal learning experiences for our clients. Whether it is advocating for students, parents, or individuals looking to better understand the education system or speaking to individuals or groups to empower them to make intelligent choices about their educational future, Educate South Florida is determined to help strengthen the educational paths and understanding of education processes for all people. Educate South Florida is dedicated to five core initiatives. To lay lifetime foundations for happiness, success, engagement with life, and education. To work with individuals and families to ensure their academic success by providing positive learning experiences. To ensure individuals and families get the information they need to navigate the Education process effectively and efficiently. To speak and advocate for quality Education in public forums. To work in partnership with other individuals and businesses to develop an Annual Youth Summit in South Florida. 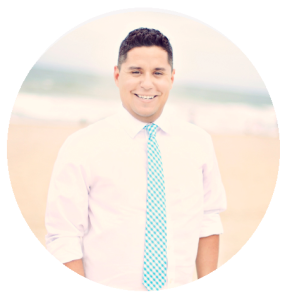 With 15 years of experience in Education, Christopher Palacios has worked successfully with all levels of students; elementary school, middle school, high school, college, and adults. He is very patient and a good listener. Whether your difficulty is missing background information, quickly learning new subject matter, developing better study skills, or overcoming low motivation, he can help you. Individual attention and materials are prepared according to your needs. Throughout his career as a teacher, he has had the opportunity to instruct a diverse group of students. He participates in numerous professional development opportunities, which allow him to meet teachers and students from all over the world. Christopher has worked in a variety of elite boarding schools all of which require a large time commitment to the student body and school. He often has to communicate with overseas agents from, Brazil, China, South Korea, Spain, and Venezuela about the educational concerns of students he has taught. He has even worked with celebrity parents. He works as educational consultant with various families who home-school their children. If you are interested in working with a dedicated professional with passion for education and a love of learning, he can help you! The world we live in is complex, especially when it comes to making the right choices for our future. An educational consultant with multidisciplinary knowledge can help determine your best-fit educational options. Positive educational experiences inspire individuals to successfully accomplish their goals. By partnering with an educational consultant your individual needs are analyzed. Picking from a variety of options can be overwhelming. With the help of an academic professional, a significant life decision can come from a place of knowledge. A wrong choice can waste plenty of your energy, time, and money. What is education advocacy? Informing and mobilizing families and community members to demand high quality schools, learning experiences, and teachers so that all people are able to thrive academically and become successful, productive citizens, is one of Educate South Florida’s core initiatives. Helping people avoid programs that are inappropriate, abusive or incompetent. Ensuring an individual receives services appropriate to his or her level of need. Safeguarding that your expectations and concerns are understood and met. Providing you with a qualified professional resource and an advocate to help you make sure that programs stay on task and provide the services that you need. At Educate South Florida we bring firsthand knowledge of school and program options and opportunities for you. We are connected to various education communities. Finding a school or learning environment that can enrich a student’s life is key. We stay aware of constant changes in the fields of education. We are here to help families who are relocating to South Florida find great schools for their children. We guide during an exciting but confusing time in a student’s and family’s life. Internet websites and school marketing materials can be confusing, and at times misleading. Even a wonderful and seemingly perfect school, can be the wrong fit for your child and not meet their needs. At Educate South Florida we know how to employ the most effective teaching and learning strategies to enable people to make progress. We can assess what our clients know, understand and can do, and then use this assessment to plan future teaching and learning activities to ensure their academic success. We have high expectations for all our clients, of whatever class, race, gender or ability and we know how to motivate them.We are effective academic role models. It is crucial that children are instilled with a love of learning at an early age. Young children develop proper learning and study habits through modeling. Learning outcomes at the elementary level focus on Text Comprehension, Fluency, and Writing. If your child is having difficulty in an area or needs reinforcement, we are here to help. Motivation becomes the center of attention in middle school. Students in middle school need variety. They get bored with anything monotonous. It takes creativity to keep their attention. When you have an academic professional that keeps children engaged they thrive. If children feel valued, they will be less likely to disappoint you. The eighth grade is pivotal time because it is when many students begin to develop their high school identity. We can work with your child on areas of weakness and to develop their strengths. Being a successful high school student is not easy. There are many possible distractions for young teens. Time management, good study habits, setting goals, motivation, organization, andcommitment are the keys to success. It’s important for your child to develop strong relationships with their teachers. A breakdown in communication between a student and a teacher can be the quickest route to failure. If there are signs that things just are not working out at school, getting help early is critical. In any case, we are here to help. The decision to home school a child is a big commitment. While it may not be for everyone, if you decide to take on this endeavor, we are here for support. We have learned and developed many good and helpful tools for successful curriculum enhancement, as well as successful school and college transition. If you need your child to take some time off from the traditional setting due to any matter, we can partner with your child’s school in order to make sure his or her transition back is seamless. We have experience working with child athletes and actors who do not have regular schedules. Often as adults, we want to learn more but there are few opportunities to do that formally. If you do better in a one on one setting and would like to learn a new language or how to use your new electronic gadget properly, you are not alone! At Educate South Florida, we are working to expand this sector by hiring various individuals who can help. Whether you are an expectant mom and need help understanding what to do for your new baby or a recently retired individual looking to learn new skills, we are here for you! We help our clients get prepared, focused, and confident going into various standardized tests. If you need assistance with one of the following tests, contact us! The GED® test credential is the only high school equivalency credential recognized in all 50 states. At GED Testing Service, we believe that everybody deserves a second chance. Graduates prove their academic skills and knowledge in the basic subject areas of reading, writing, math, science, and social studies. SSAT is the Secondary School Admissions Test. Private schools throughout the world use the SSAT as a standardized admissions test. The ATI TEAS Test (Test of Essential Academic Skills) is a multiple-choice exam that measures entry-level skills and abilities of nursing program applicants. The Test of Adult Basic Education 2-1/2 hour test that measures competency in reading, math, and language using content and language appropriate for adults. The AP Spanish Language and Culture course provides students with opportunities to develop language proficiency across the three modes of communication: Interpretive, Interpersonal, and Presentational. The test is an assessment of a student’s ability to communicate effectively in these modes. AP Spanish Literature is an advanced Spanish class that surveys Peninsular and Latin American literature from the Middle Ages to today. It is the equivalent of an upper-division college course and serves as an introduction to literary analysis and discussion of Spanish-language literature. The test is an assessment of a student’s ability to critically understand various forms of Spanish Literature. Christopher Palacios is happy to speak to your group or organization. Feel free to contact us here at Educate South Florida to set up a speaking engagement. I found Christopher because I was preparing to retake my TEAS to get accepted into a nursing program for spring I had taken it once on my own and struggled with the math section only scoring a 68%. I met with Christopher a few times and he was always very professional, punctual, and helpful. Thanks to my hard work and his great tutoring sessions I’m happy to say I passed the math portion of the exam with an 86.7% and I’m starting nursing school in spring! My only regret was the time it took me to write this review! Thank you so much, Chris! Christopher has been an excellent tutor for my son in his high school Spanish class. As a result of their work together, his skill set and confidence has grown exponentially over the past few months. We particularly like that Christopher is able to work with my son via Skype because it eliminates travel time and makes their tutoring sessions very efficient. Through Skype, they are able to share documents and practice written work on screen. It has been an excellent way to organize their tutoring sessions. We also appreciate that Christopher comes prepared with materials to work on in the areas that we highlight as areas of concern. He has terrific knowledge of the subject and related materials. He has been an outstanding tutor. Christopher has been the only tutor that has truly cared about my son and his future. He has been much more than a tutor with an ability to understand problems his student might have. He has helped my son more than therapy has and has opened his eyes to the life’s realities. If it wasn’t for Christopher, my son would have given up and failed again. Looking forward to the future with Chris! UNBELIEVABLE tutor and human! Christopher knows the AP Spanish exam very well. He has developed his own study guide and provided my daughter with effective techniques to succeed in the written and oral parts of the exam. He is enthusiastic, passionate about teaching, very reliable, and a great person. I am very happy I had the opportunity to meet him. I highly recommend him as a tutor. Want to ask something? Want to know more about us? Give us a call or drop us an email and we will get back to you as soon as we can. 2014 © EducateSouthFlorida. All rights reserved.